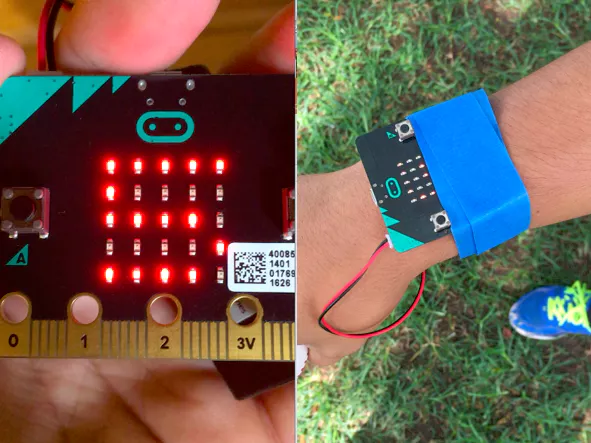 This project straps to a pitcher’s arm and uses the micro:bit accelerometer to record how many pitches have been thrown in a session. This project straps to your wrist, displays a compass that updates as you walk around, and keeps track of your steps. 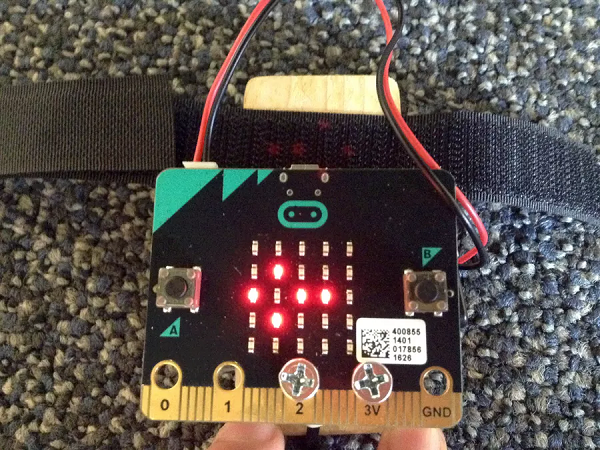 The micro:bit is elevated to allow room for the battery pack to fit underneath. 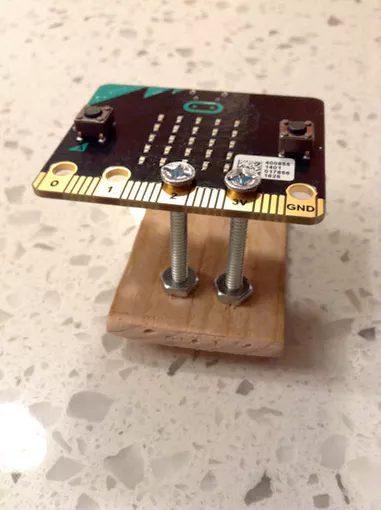 This project features a secret combination that opens the top of the box using a servo motor. 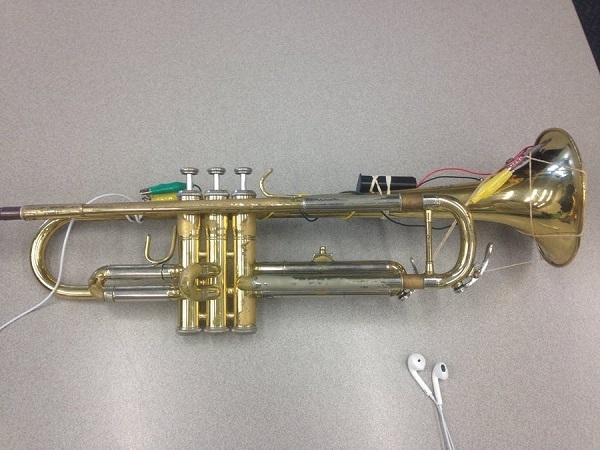 This project uses a piece of cardboard to mount the micro:bit to the side of a violin. This student wanted to use it to tune his violin by playing a specific series of tones. The micro:bit displays the note being played. This example was used for Marching Band practice, where students must hold the trumpet at a 15-degree angle to avoid hitting the person in front of them or playing directly into their ears. Because the trumpet is heavy, new trumpet players tend to let the trumpet droop. This displays an icon (a check mark or an X) to help new trumpet players learn what the proper angle is supposed to feel like.